This selection is under construction. You can connect your neocore WAVE to your smartphone, tablet or other device using either Bluetooth or the auxiliary input. On your Bluetooth device, go to the Bluetooth menu and scan for devices (make sure Bluetooth is enabled). 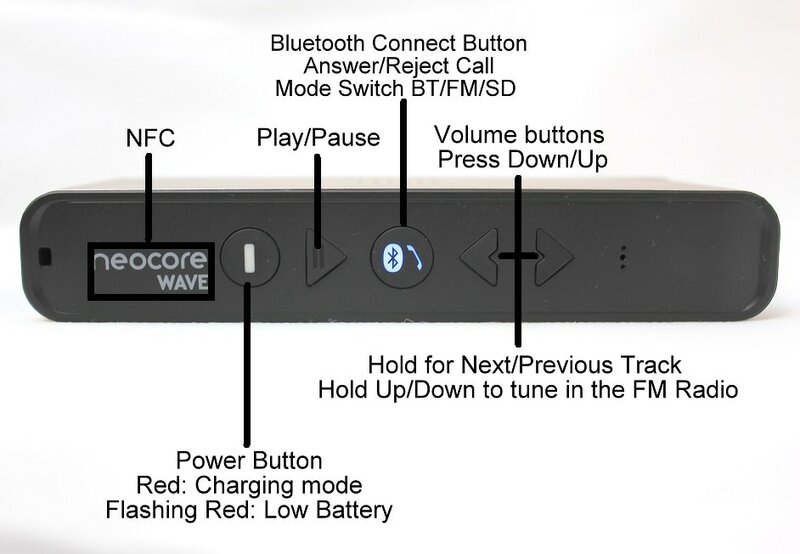 Select neocore WAVE P3 from the list of devices. Please insert your card to the SD slot until you hear a click sound it means a card is properly installed. neocore WAVE P3 should play your MP3 files automatically if not press Bluetooth connect button twice. 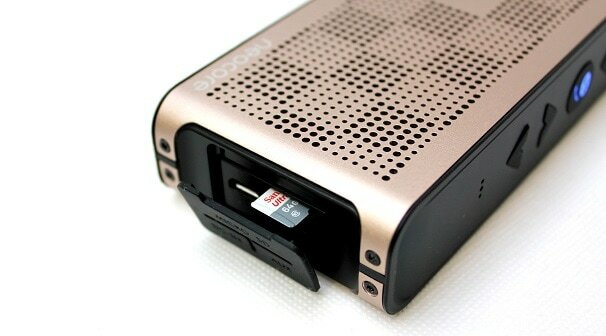 NFC chip is located under the necore WAVE logo on the top of the speaker. Please touch your NFC Device for a few seconds to the logo you should have confirmation on that your NFC device is ready to be connected. Turn the FM Radio on by pressing once the Bluetooth connect button on the top of the speaker. You tune in the radio by holding Volume button UP or DOWN. Please note that our speaker don't have external antenna and only main FM stations will be available in the UK usually 3-5 stations.